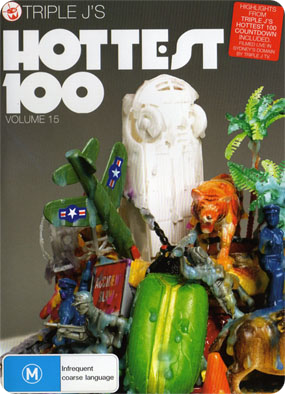 The 2007 Hottest 100 was the fifteenth annual Hottest 100 countdown since the change of the format which allowed only songs from the previous year to be voted for. The countdown took place in January of 2008 and featured a mixture of 74 different artists. Over 700,000 votes were counted in the countdown. The 2007 countdown was marred by a small amount of controversy when the winning song was announced. Muse's 'Knights Of Cydonia' was originally released as a single in June 2006, while their album 'Black Holes And Revelations' came out in July of the same year. Occasionally in the past, songs have charted in a different year to their release, for example, if the single is released in the year prior to the album, or vice versa. However, this was the first time the winning song was entirely released in a year different to the countdown. It is entirely possible that the reason for the song's inclusion in the 2007 list was due to it's appearance in the video game 'Guitar Hero: III'. The game, which was released in late November 2007, only a few weeks before voting began, exposed the song to a larger audience, gained immense popularity and may have been the driving force behind the song's victory in the countdown. The song had also experienced a large following in the JTV and Super Request charts throughout 2007, which may have also explained why Triple J decided to allow a song released so long ago onto their voting list for 2007. 2007 is also notable as being the closest countdown ever. There were only 13 votes seperating Muse's 'Knights Of Cydnonia' and Silverchair's 'Straight Lines'. During the announcement of the top 5, Nathan Hudson from Faker was present as they were announced to have made #5 with 'This Heart Attack'. 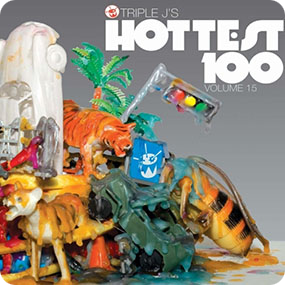 Triple J presenter Lindsay 'The Doctor' McDougall mentioned that the band were last in the Hottest 100 in 2005 when their song 'Hurricane' made #25. In fact, the song actually made #21. Similarly, when Silverchair were announced to have reached #2 with 'Straight Lines', Daniel Johns was present for an interview. McDougall mentioned that 'Straight Lines' was their 16th song to chart in a Hottest 100, when in fact, it was their 17th. The countdown was also the first time that the same song was featured in the list twice, albeit in a remixed form. At #7, a live version Daft Punk's 'Harder, Better, Faster, Stronger' made the list, while at #20, Kanye West's 'Stronger', which features heavily remixed portions of the Daft Punk song, made the list as well. 'Recapturing The Vibe', by Hilltop Hoods featured in the Hottest 100 for the second time in a row. It featured as a live 'restrung' version this year at #26, while it featured in its original form the year before at #77. 2007 is, so far, the second of only 2 countdowns to not feature 2 or more entries by a single artist in the top 20. The only other countdown to do this is 1993. The countdown also features the moderately rare distinction of having no artists reach consecutive entries. This has also happened in 1993, 1996, 1997, 2000, 2005, 2008 and 2010. Bloc Party, The John Butler Trio, Josh Pyke, Kings Of Leon, Silverchair and Harry James Angus (through work with The Cat Empire and Jackson Jackson) all reached 3 tracks each, with Silverchair performing the best, their highest track reaching #2. 18 other artists achieved 2 tracks each. The 2007 Hottest 100 featured artists from 8 countries, including 52 from Australia, 20 from the USA and 17 from England. Australia's 52 tracks were equal to 1999 as the highest amount of Australian tracks in the countdown until it was beaten in 2014, which featured 59 Australian artists. The 2015 featured Australia with 53 tracks, beating 1999 and 2007 to become the second highest amount by a country. The 20 tracks the USA contributed was lowest amount by the country in any countdown until 2014 and 2015 when they only achieved 15. ‘The Salmon Dance', at #21, was a collaboration between The Chemical Brothers and Fatlip who are English and American, respectively. However, the track is counted as an English entry for simplicity. ‘Rehab', at #67, was a collaboration between Amy Winehouse and Jay-Z, who are English and American, respectively. However, the track is counted as an English entry for simplicity. To see what voters could choose, click here. For more info about the DVD, click here.